High End Drums for professionals! Vintage Set - Made in U.S.A! All inclusive bundle for beginners! The best-selling drums of all time! 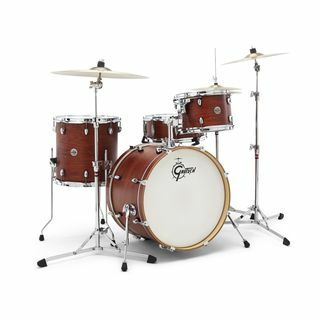 Gretsch Vintage Drums at a low price! The drums are the backbone of a band, and an acoustic drum set is still the ultimate choice when it comes to playing characteristics and sound expression. Even though e-drums are very well developed today and have their clear advantages (e.g. for practicing...) - there is nothing like a good acoustic drum set, and the better the drummer, the better the whole band performs. There are acoustic drums for almost every demand, need and budget. The palette ranges from small cocktail sets to huge heavy metal castles. By appropriate drum tuning and with suitable head equipment the optimal drum set sound for any musical style can be obtained from almost any drum set. 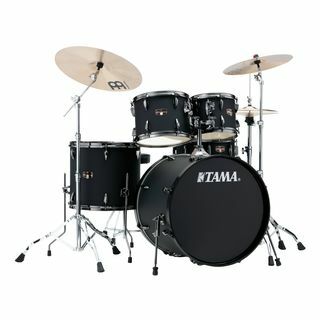 And the best: You can start with a small set and then gradually add more drums to your drum set! 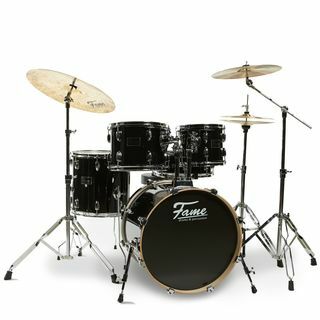 Information about the possibilities - whether drum set set or individual instruments - can be found on the product pages of the MUSIC STORE Online Shop. Drum sets have all the drums - hardware is the name given to the tripods and mounts that go with them, so you can put all the drums in the right place. The hardware also includes cymbal stands, a hi-hat stand and a pedal for the bass drum. Traditionally not included are cymbals, a drum throne and usually no sticks. The advantage here is that a drum set in this combination is cheaper than buying everything separately, because the manufacturers give a discount on the sets from the outset. The selection is not only limited to so-called standard sizes, but there is a wide variety of combinations, which results in a wide range of possible setups. Beginners who are just starting to learn to play drums usually do not yet have the experience to assemble their drums from all the individual parts. It is advisable to take drum lessons first to get a feeling for the sound and playing feel of acoustic drums. To start with, drum sets are a good solution, because they are well tuned in sound and contain - mostly at a reasonable price - besides the drums and the hardware also a set of cymbals consisting of hi-hat, ride and crash. Because very few drum manufacturers also produce cymbals, these are mostly recommended cymbal sets from proven manufacturers. Drum thrones and sticks are still missing, but they can usually be put on top for a small extra charge - and your career as a drummer can begin. If you already have a great drum hardware and just want to have new drums, it's best to use shell sets. So you can change to another brand without having to buy their hardware. Or you get the possibility to combine the drums of manufacturer A with the hardware of manufacturer B when buying a new drum set, if you like it better. Some shell sets contain a snare drum, some not, but they always come with a bass drum and toms, sometimes a little hardware in the form of tom holders, for example, to mount the toms on the bass drum. 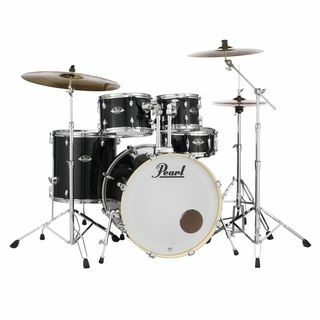 In any case, a shell set is cheaper than the sum of the separately purchased drums. Drummers who want to extend or rebuild their drum set will want to look at individual bass drums, snare drums, toms or floor toms. A second bass drum will look good, and if you take another size than the one you already have, the drums will have additional sound variations, and the playing technique will be challenged anew. A new snare drum doesn't necessarily have to replace the old one, but can also complement it, for example by adding a piccolo snare to provide the right sound for hip hop drum grooves. And more toms not only expand the sound spectrum, but also inspire new licks, fills and drum beats.